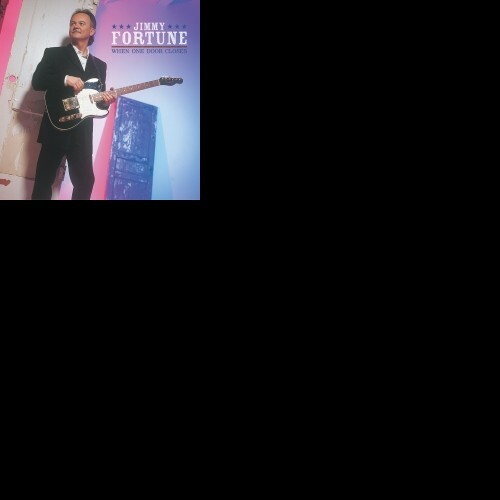 "Jimmy Fortune Sings The Classics"
"Jimmy Fortune: Hits & Hymn CD"
When you stopped to say, "Hello"
Then you said, "So long"
If and where can we buy a karaoke copy of I Believe. Our Church Praise Singing Group would really like to do it on one of our Sunday Service’s. The whole CD is available as tracks on this website on the shop page. Or you can get just this song, but in different keys through Daywind. I can’t seem to find the “I Believe” CD that is just soundtracks. All I see is the regular CD. (Unless they are both on one CD?). It has a blue cover. Here is a link to it on the shop page. Nina- will Far side banks of Jordan be available as an accompaniment ,soon? I’m sorry but we don’t have tracks available for that song. We only have tracks for the “I Believe” CD. Jimmy is one of the great singers and writers of our time. I recently discovered his talents when I purchased the Statler’s last tour performance. He may have replaced DeWitt but DeWitt could not replace him. The first time I heard ” I Believe “, I had just lost my Mother. Amen, God Bless you. Loosing a mother is one of the most difficult thing we have to live through. terry shifflett i know how you feel and i cry everytime i hear the song too. my mother has been gone for 9 years and it just seems like yesterday that she passed away. all i have to do is think about her and all the good times and things we did together and i cry. i miss her so much but i know that she is with God and she is happy and this puts a smile on my face. Thoroughly enjoyed your show in Celina, Ohio today. your picture made with us. God bless you. I have been trying to figure out who wrote the Statler Brothers’ song “It’s a Small, Small World”, but cannot locate that information online. I googled it and it says that Thom Schuyler and Gary Scruggs wrote that song. We saw Jimmy today in Marion, NC at the NC State Bluegrass Festival. He really did a awesome job singing today. My favorite song Is I Have To Much On My Heart, but when he sang, How Great Thou Art, I had cold chills! Thank you!! We always have a great time in Marion. No he doesn’t but his brother Tony sang it on his own CD years ago. Sorry! jimmy will always be one of my favorites. He has an awesome voice. luv the way he holds those notes for so long. I will always appreciate his gospel music. I know I will never see him in person but is there some place where I could get a picture of him? and by the way you Nina are a beautiful lady. thank you for your time. Sorry I’m just now responding. It is available here for $5 and you can download it. Thanks!! Is there a soundtrack for “In God We Trust” available? I’m sorry but we don’t have tracks for that song. Do you plan to have tracks available in the near future? I’m not sure if the label is going to release that. I watched Jimmy on dish 276 this morning (hits and hymns) and when he sang I believe and amazing grace, he truly touched my soul. He is an awesome soloist. May God continue to bless the Fortunes. 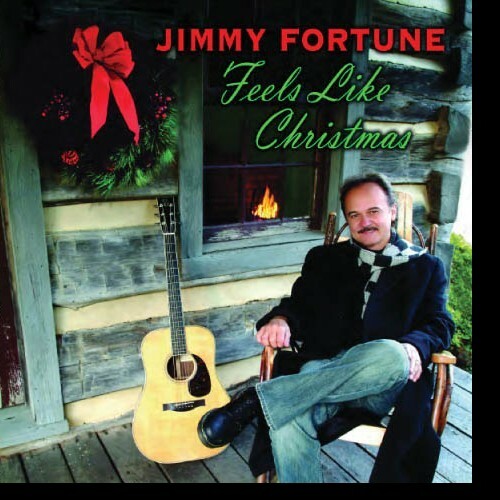 I just wanted to say what a blessing it is to listen to Jimmy Fortune sing. I’ve been a fan of the Statler brothers since High School (1965). Being a Vietnam vet “More than a name on a wall” is one of my favorites. 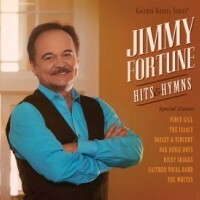 I saw the special on Jimmy Fortune on Bill Gaither and had to have the CD Hits and Hymns is great. Every song is great. “Far side banks of Jordan” and “I believe” is really special. Please keep the Gospel CDs coming and God Bless you and family. Saw Jimmy in Branson this week. What a great voice. Really enjoyed the fact that he gave insight into what inspired him to write the songs he has written. It was very clear just how much he loves his family. The credit he gives his wife for his success is refreshing. Choosing him to replace Dewitt, under the awful circumstances, was a great decision. Have been a fan from the first time I heard Elizabeth. My mother watched a Gaither show recently (mid-October) when Jimmy Fortune was featured. She loved all the “old” songs she grew up with and wanted to order the CD but the number she wrote down is wrong. Can you help me decipher what she is talking about so I can order it for her?? Yes, it’s the Hits and Hymn CD, there is also the DVD too. You can order here, Gaither website, Cracker Barrel, Amazon or iTunes. Nina Fortune, I have been to Cracker Barrel for the last three months and they kept running out of Jimmy’s Hits and Hymn. I would like to get one either CD or DVD. I see Jimmy in church some time. I brought my kids to see Jimmy’s show in Scottsburg, IN this past spring/summer at the Ross Country Jamboree. I believe you were at the merchandise table. First of all, my kids were so blessed to see the show. I have tried very hard to get them interested in 80’s & 90’s country music and thanks to YouTube, they are hooked lol. They fell in love with Jimmy while watching him sing In God We Trust on Country’s Family Reunion. Rebecca is 12, Bradley and Madison are twins and they 10. They were so thrilled when I purchased a picture for Jimmy to sign for them and when I went to purchase one for each child, you simply gave them 3 but insisted on me only paying for one. That was very sweet and my children we so excited. We watched the show and it was so cool to see my young kids singing along to Jimmy’s songs. He didn’t even sing their favorite “In God We Trust” and it was still the time of their life. They still ask me weekly if I will take them back again this year. My children we fortunate enough to meet Jimmy after the show and I took his picture with them and he signed the picture you gave each of them. 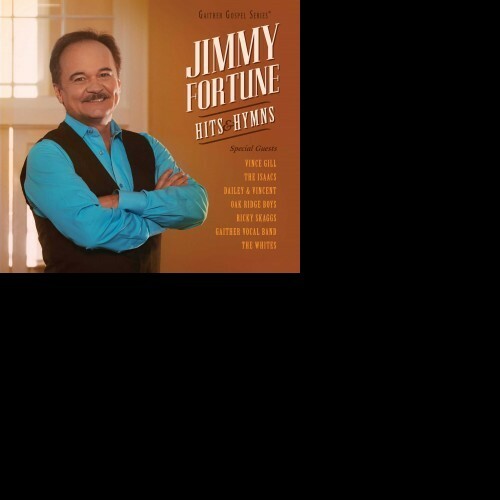 My kids went to school and talked about the show(5th Graders & 6th Graders) and even though their classmates had no clue who Jimmy Fortune was, my children we proud and on cloud nine that they saw Jimmy. My 12 year old daughter even commented “Why spend $100 to go see a Taylor Swift concert and set a half a mile away, when I can go see Jimmy, who is a more awesome singer, and actually set close enough to see him for only $25.” That made me pretty proud so I wanted to share this with you so that Jimmy knows there is still a purpose for him singing and writing. I know at least 3 children who think he is cool and still look forward to seeing him sing. Thank you both so much and I look forward to bringing my wife and children to see you again this coming year…Jimmy you are simply amazing…God has definitely given you a gift and the Edwards Family is so blessed that you share that gift through song. P.S. I tried to paste the picture I took of my kids with Jimmy, but I couldn’t get it to paste into this comment box. If you want a copy please let me know and how I can get it to you. Thanks! I have the Hits & Hymns in CD and DVD. Absolutely love them both!!! I am still a Statler Brother fan and always will be. Thank you for continuing on solo Jimmy. Your talents are many and you bring joy to so many. May God bless you and your family. Nina, hello again…I just purchased 7 tickets for the Clifford Baptist Church concert on Dec. 11…cannot wait! I have a special request for Jimmy that night….Could he dedicate his song ELIZABETH that night from my grandson (Cameron Maddox) to his wonderful girlfriend (ELIZABETH MASSIE). Please let me know if Jimmy would do this special dedication for his ole classmate from Nelson? Jimmy I love to hear you sing. You have a pure and distinct voice. I sing karaoke and would love to find a karaoke disc with FOREVER on it. I want to come to one of your concert as soon as possible. I hope you keep singing for a long time. Thank you so much for touching my heart. I have been so blessed fromm Jimmy’s songs! I loved “I wrote it in Red”, ” I Believe”, & “On the Far Side banks of Jordan!”. Keep following the Spirit! Nina- will performance tracks EVER be available for the new hits and hymns project? No, that is up to the label and they said they have no plans to release tracks. Several years ago, a southern gospel group from West Virignia that I was a member of was invited to the Statler 4th of July on gospel night. Several years later I was on business in Nashville and was staying a hotel that later I found that the Statlers were staying. I was in line for the breakfast buffet one morning and it was a long line and got to talking to the gentleman in front of me. We chatted and had a nice conversation. At first it didnt dawn on me who I was talking with. But when I saw him sit with 2 couple of members of the Statler group, it dawned on me that it was immy Fortune. He has always been a favorite singer of mine. I play guitars myself and grew up playing gospel as well as everything you can imagine. I hope that Jimmy will make it back to Roanoke VA sometime soon. I will definitely come out to see him. Jim, Jimmy plays Radford, VA every July 4th. It’s a free show so we hope to see you there one year! Jimmy tells the stories behind the songs at most of his shows. It wouldn’t be the same if I told it instead of him. No, we do not have that available. Sorry! 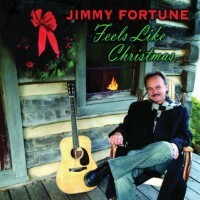 Is there a CD available of “I Believe” with Jimmy Fortune singing with Dailey and Vincent ? I love the video and would love to have a CD. Thank you. There is a recording on the Gaither Bluegrass series. I know you can get it from itunes and you can order it from Gaither’s website. Jimmy sang a song called I believe and I am wondering how I can get the sound track for it ? The tracks for the whole I Believe CD are available on the shop page of the website. You can also get one through Daywind that has just the one song. Hi, Jimmy I got to see you preform “I Believe” at SPBGMA this year. It was such a beautiful song. 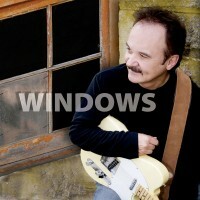 I have been searching how to purchase this song for a upcoming cd. I’m not getting any where. Could you lead me in the the right direction to do this please? Thanks so much! To research songs you should check with BMI, ASCAP, or SESAC. Jimmy is listed with BMI as a songwriter and that will list the publishing for that song as his own, Jimmy Fortune Music. Please email Nina at Nina@jimmyfortune.com and she will set you up with a license. Attended Jimmy’s concert with Darren & Brooke in Prairie du Sac, WI….what a beautiful collaboration of voices. Have always liked his tenor voice. So glad my husband & I got to hear them. Thank you Jimmy, Darren & Brooke. Can’t praise Jimmy enough for him singing the song with the Statlers about Noah finding Grace in the eyes of the Lord. I have been looking for a detailed bio of Jimmy. Kids? Marriages? Where did he raise his kids and other personal growing up info. Can you tell me where I can find it. He didn’t even give much info on Gaither’s special about him. Jimmy lived in central VA until 2004 so his children were raised there. Jimmy and his wife Nina moved to TN and still live there. His children are grown now and live in VA, NC and TN. For my birthday this week, my mother and sister are taking me to the concert at Orange County High School. I am so thrilled! I saw the concert last year at the Louisa Arts Center and they have heard me speak of it repeatedly. So now they get to experience what I have did. We have enjoyed Jimmy’s voice since the first day we heard it. Without Mom, I wouldn’t have a birthday to celebrate :), so if possible, could a song be dedicated to her? She has so many favorites, I couldn’t pick just one. Any song will do. Her name is Doris Gray and my sister is Paula. If not, thank you anyway. I know we will enjoy the concert! Nina, I cannot find “You and Your Sweet Love” on the CD’s or DVD’s. Has Jimmy recorded it? It is one of my husbands favorite songs that he listens to on YouTube. It is only on the Bill Anderson special DVD. I’m sorry, he hasn’t recorded it on a CD. Working on an upcoming eulogy and want to use ‘The Other Side of the Cross’ with Jimmy, Daily and Vincent as my closing song, but I can’t find the CD! This version is on a Bill and Gloria Gaither CD called Old Rugged Cross. You can have someone download it from iTunes for $1.29. I am looking to purchase the written score for Victory In Jesus as performed by Jimmy. It is written in the key of A and modulated to the key of D for the second half of the song. Where can I find this score? The musicians on the session may have written number charts for their own use that day but no score or sheet music was ever written out. My husband passed away 5/22/16. I had the song played “You And Your Sweet Love”. I’ve looked everywhere for a CD with this song on it. Please help me in ordering a CD with this song. I also had “Far Side of Jordan” played. I have that one but want “You And Your Sweet Love ” so bad. I live in Splendora, Texas about 45 miles north of Houston, Texas. Please help me order a CD with this song. 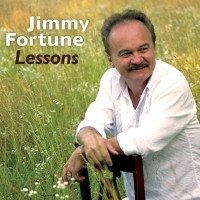 Jimmy only sang that song on the Bill Anderson tribute show and that is available on DVD. You can also watch it on Youtube. Connie Smith made that a hit so I’m sure you can buy her version on itunes. I do miss the Statler Brothers. Wish they would do one more reunion……Any chance that will happen???? Jimmy will be in Liberty, NC in December, not sure how far away this is from where you live. I will say that when The Statler Brothers said they were retiring, they truely meant it. They all still stay in touch but no plans of singing together publicly. 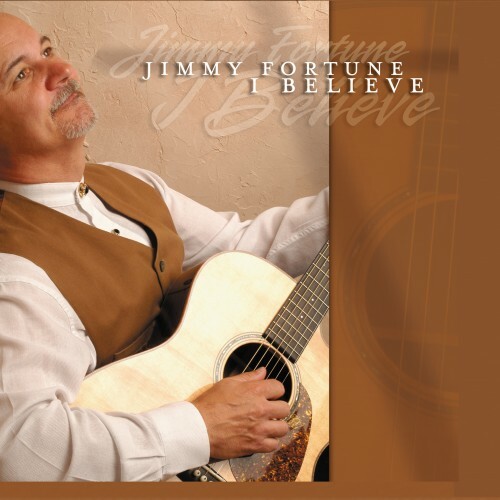 I heard Jimmy sing “If” on RFD tv one night. It was a tribute to his wife Nina. I was wondering if I could buy a copy of that song somewhere. I loved it. 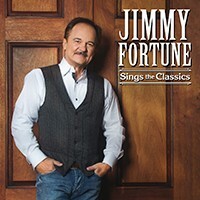 It is going to be on Jimmy’s next CD called Jimmy Fortune Sings The Classics. The release date is set for 4-21-17. Hi Jimmy & Nina, This is Sissie Slaughter – one of Jimmy’s classmates from Nelson County. I will be in Nashville April 23-30 attending a seminar for work. I haven’t been to Nashville since the 80’s and was wondering if you would recommend some places to check out while I was in town. If you can email Nina at nina@jimmyfortune.com she can help you a little. 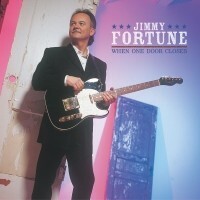 When will Jimmy’s new album “Jimmy Fortune sings the Classics” be coming out? I am looking forward to purchasing it and enjoying it. I know that it will be great like everything that he does. You can order it now but the release date it 4-21-17. We no longer accept unsolicited songs. It got to be way too much so now we ask if you need your song evaluated you check out http://www.nashvillesongwriters.com. I’m on disability and can’t afford to join but thanks for your reply. I will try to start saving to join. My almost 92 year old Mother recently passed away. All the music that we played was from Jimmy’s Hits and Hymns CD. Beginning with Amazing Grace followed by How Great Thou Art. We ended the service with Victory In Jesus. I was a little afraid that it was a little peppy for the final song so I was amazed at how many people commented to me how much they liked it—even the minister and his wife. I now plan to have these same songs played at my own funeral. Thanks for a tremendous CD. JUST WANTED TO SHARE THIS INFORMATION WITH YOU ALL! I’m getting married in February and we are wanting My Only Love sung at our wedding. I found the sheet music online and purchased it but it only has the music for the lead singer. Where can we find the music for all of the parts. I’m hoping Jimmy makes it back to Crossville, TN one day. Hymnals print parts but sheet music of other genres normally don’t. I’m not sure who is selling the sheet music you purchased but if you have having a quartet sing at your wedding they should be able to hear or figure out their parts. 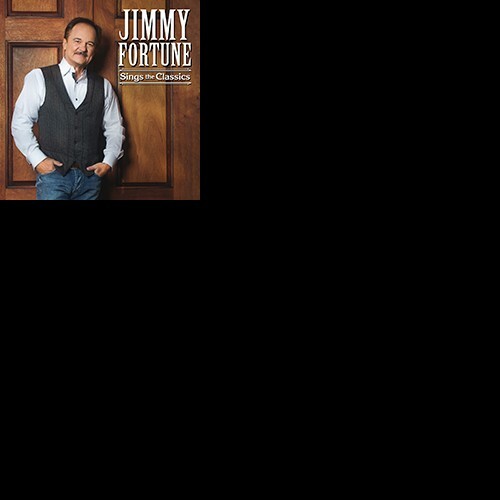 we will be in Pigeon Forge for the show – will Jimmy have his cd , Sings The Classics, on sale at the theater? Looking forward to seeing him & T.Graham too. Yes, they will be available at the merchandise table in the lobby. one more question if you will — will Jimmy & T. Graham be signing autographs after their Pigeon Forge concert Sunday? Thanks.. I am trying to find an accompaniment track for the Starlets song, “The carols those kids used to sing”. I wonder if you could help me out? The Statler Brother’s never released any accompaniment tracks. Have you tried Daywind? My husband is especially touched by Jimmy’s version “Far Side Banks of Jordan”. Is it available on a CD? He’s nearing the age of 83, and would like it played at his funeral. Would you please let me know where/how we can purchase it? It’s on Jimmy’s “Hits & Hymns” CD. You can get this through the website, Cracker Barrel, or iTunes. Jimmy you put on a great show last night in Liberty, NC. My dad and I drove almost 4 hours round trip to see you and it was worth every minute. You are a true Christian man and we were blessed to be there. I hope you and your family have a blessed and Merry Christmas and we along with some more will see you in Liberty again next year. Thank you for coming and we hope you and your family have a wonderful Christmas. Is there an accompaniment track available for “More than a name upon a wall”? I would like to use it at church for our Memorial Day program. It’s a beautiful song. No, I’m sorry there aren’t any. Hello everybody. 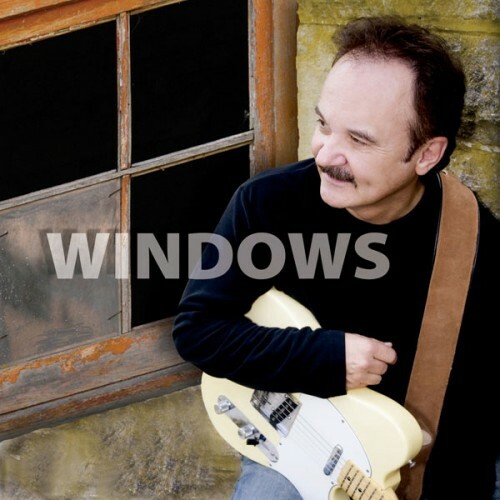 Former Statler Brother Jimmy Fortune will be in concert at the Ho-Chunk Gaming Wisconsin Dells in Baraboo, Wisconsin on Saturday, September 29th at 1:00 P.M. & 7:00 P.M.
Just received a huge surprise for my birthday on 10/18. My wife gave me 2 tickets to see Jimmy in Branson on 12/13 and I can’t wait. It truly is a bucket list item for me. Been a fan since the Statler Brothers days and will always be. December 13 can’t get here fast enough. I will always love the Statler sound because I grew up on it but the sound of his latest group is unbelievable. What a great compliment to his beautiful tenor voice. My wife and I will be in the 4th row center at the Starlite. It’s a dream come true!!! We can’t wait to see you there!! I hope you like Christmas songs because he will be doing several on this show. Nina I hope he sings O Holy Night, It’s a favorite. I have always wanted to hear Jimmy sing I bowed on my knees and cried Holy. I don’t think he ever recorded it but that would be a great song for him. Just received a message from Branson that Jimmy’s show is cancelled. Not sure why. Hate to hear that! Very disappointed. Somehow I knew it was to good to be true.